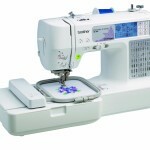 The Janome Magnolia 7318 Sewing Machine is packed with features but it is also very easy to use. 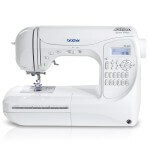 It doesn’t matter if you are into sewing garments, crafting, quilting or home decor, this machine will help you complete your project quickly and easily. 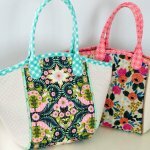 The Janome Magnolia 7318 features 18 decorative and utility stitches. 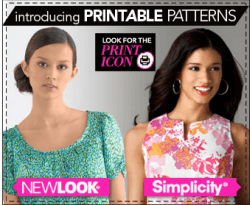 It also has a stitch length control and a zigzag width control. 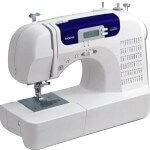 There is also a reverse stitch button and a convenient thread cutter. This machine also has an extension table that gives you more surface area to work with but you can also remove the extension table so the machine really offers you a lot of versatility. 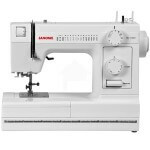 When researching the Janome Magnolia 7318 Sewing Machine we found a little over 40 user reviews online and the reviews are quite good. This machine received 4.6 out of a possible 5 stars. This machine is very easy to use and because of that a lot of people are saying that it is a great machine for beginners. However, there are also a lot of comments from more experienced users saying they don’t understand why people are saying that it’s “a great beginners machine” because they feel it is a great machine regardless of your level of experience. 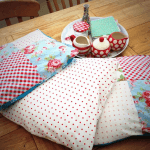 One review came from a 69-year-old woman who states that she is not a beginner and says that she has been sewing since she was big enough to climb up to a treadle machine. 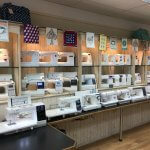 She said that the Janome Magnolia 7318 replaced an old Kenmore machine that she used extensively for over 30 years and she feels that this machine is very similar to her 1982 Kenmore both in features and and strength. In addition to being easy to use this machine seems to be quite durable. 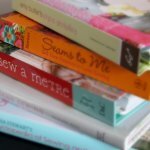 One review came from a woman that said she purchased the machine over a year ago and has used it on many projects and it “has been frustration free”. Other people are saying things like “this machine this fabulous” and “this machine has been a joy to use”. 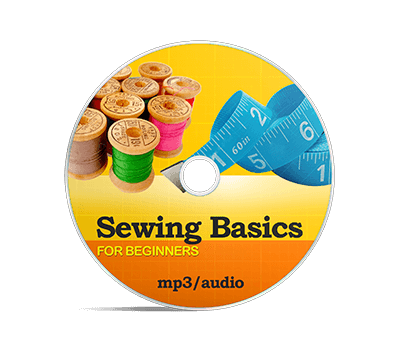 One customer said that they used to have a top-of-the-line sewing machine and it was wonderful but it was expensive. 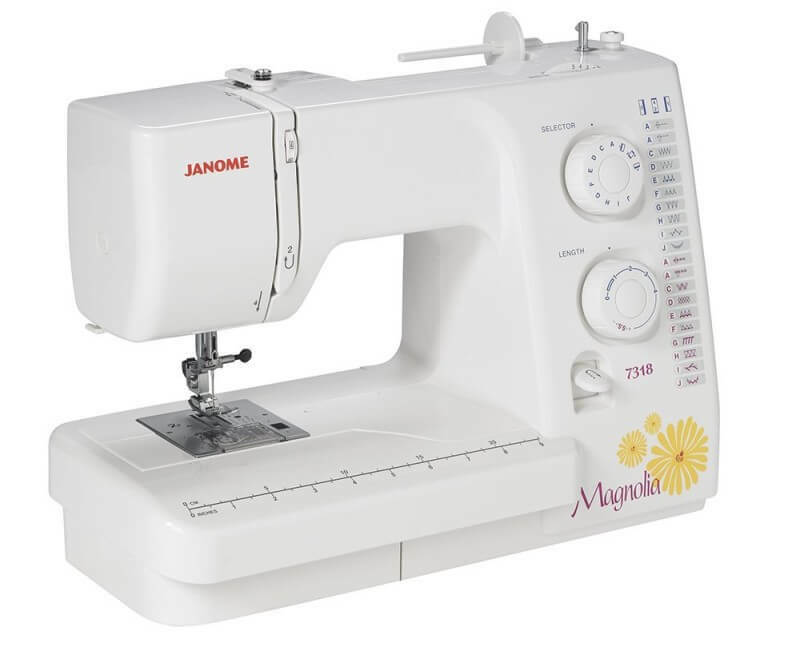 This person sold her top-of-the-line machine and decided to buy the Janome Magnolia 7318 Sewing Machine instead. She says that she is very happy with her purchase and this machine costs just a tiny fraction of what her old machine did. Several people are also commenting on how powerful the Janome Magnolia 7318 is. One person said that they were able to sew through denim with no problem at all. A number of people also commented on the instruction manual saying that it was very helpful and easy to understand. One customer said that someone at their local fabric shop highly recommended this machine and after purchasing it they are very happy. The only negative comment we found online was from someone who said the location of the drop feet behind the machine made it a bit bothersome to access because you have to remove the tray to get to it.For people that do quilting this might be a bit of a frustration. This person still left a positive review and liked the machine very much and we really couldn’t find any other criticisms of this machine. 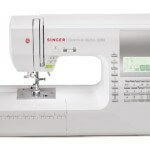 When researching the Janome Magnolia 7318 Sewing Machine all we found were dozens of happy customers so it’s easy for us to give this sewing machine our recommendation.